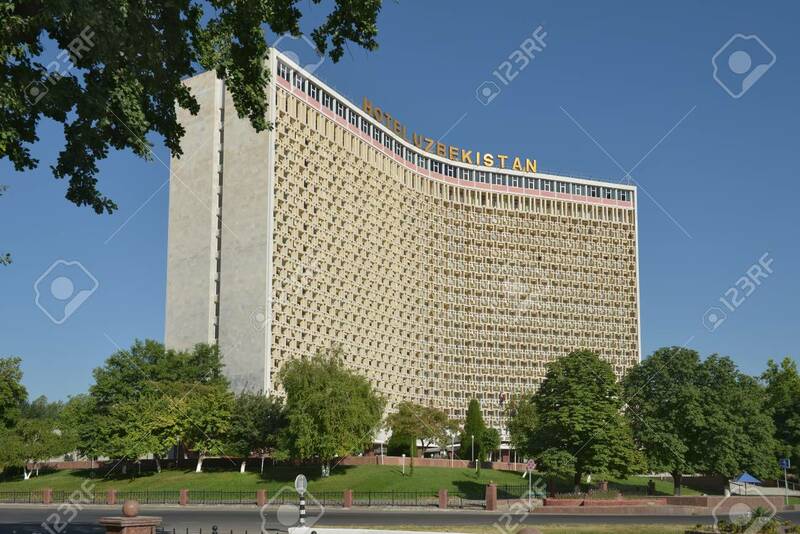 Hotel "Uzbekistan" (1974) Is A Legendary Hotel That Takes Guests For Several Decades And Is Considered To Be One Of The Symbols Of Tashkent City. Multi-storey Hotel Building In The Shape Of A Book, And The People Affectionately Referred To As The "Uzbechk Фотография, картинки, изображения и сток-фотография без роялти. Image 62936058.